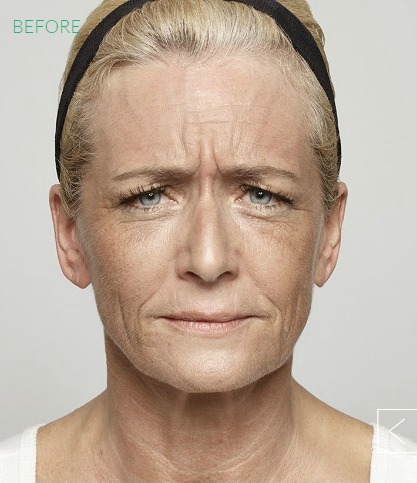 Smooth your wrinkles away in less than a day with Dysport! This treatment is one of the few injectables we offer to Chicago residents here at ElleHomme Holistic Med Spa. As one of the most popular wrinkle reduction products in the industry, it has a great reputation for reversing the signs of aging. The muscles underneath our skin contract, moving the overlying skin along with it, in order to display our emotions through facial expressions. Over time, this continual contraction, along with involuntary muscle contractions, such as squinting, begin to cause deep creases and folds known as wrinkles. 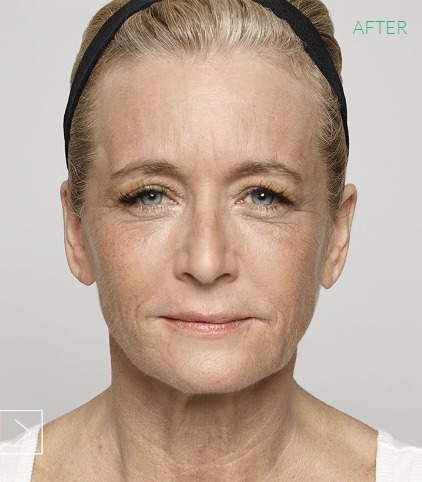 Dysport, an FDA approved injectable, is effective in treating these moderate to severe facial wrinkles and folds which often formulate on the forehead, between the eyebrows and on the corners of the eyes. How does Dysport work in Chicago? The main component of Dysport is botulinum toxin type A; this ingredient works to reduce nerve and muscle movement. By temporarily blocking the signal from the nerve to muscle, the targeted muscle relaxes and is unable to contract. Thus, preventing the formation of facial wrinkles. However, Dysport does not affect the surrounding muscles, allowing the individual to continue to showcase facial expressions. In Chicago, Dysport is great for use within a broad age range and effectively delivers a smoother complexion, with natural looking results. 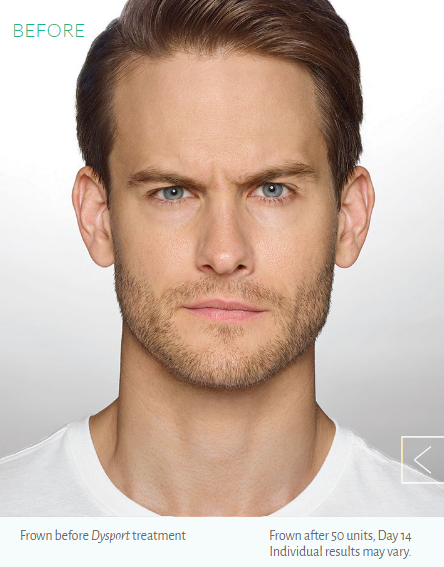 Ideal candidates would be patients that are unhappy with the formation of frown line, or lines between the brows and on the forehead. Patients must be an adult to receive Dysport injections (usually 21 or older). Patients that are in their twenties generally seek treatment in order to prevent a future full of wrinkles. Dysport is not recommended for individuals who are allergic to cow’s milk, present with a skin infection at the planned injection site and individuals over the age of 65. Dysport treatment is very quick and effective with little to no downtime. Targeted areas are cleaned prior to the treatment; followed by the application of a topical numbing agent, such as lidocaine. While patients typically feel little discomfort, the anesthetic helps to ensure a painless experience. The amount of injections is specific to the patient and their beauty goals. This is why a consultation is so important. During the consultation, a special treatment plan is mapped out and any questions or concerns are addressed. Dysport is a temporary treatment, therefore individuals are advised to receive maintenance treatments after a few months, in order to maintain results. Contact us today or visit our office, located in downtown Chicago, IL, to request more information regarding Dysport. A Dysport treatment can safely and effectively reduce the appearance of unsightly facial lines, such as crow’s feet and forehead lines. The results reveal a smoother, more youthful complexion. Book a consultation today and reverse the signs of aging! We are happy to assess your needs and help you achieve your desired look.